It’s time for my final accountability update for 2015. As long-time readers know, these monthly reports are where I share what came into and left my closet during the previous month, what I wore, and how I did with my shopping budget. Sharing what I bought, what I culled, and how much I spent helps me to stay honest and on track with my wardrobe and shopping. This update will also include a year-end wrap-up in terms of my budget and in and out item totals. Other statistics – including wardrobe “all-stars” and “benchwarmers” – will be covered in future posts. These six garments left my closet in December 2015. Black knit blazer: I only wore this blazer once during 2015 and I have other black jackets that I like much better. This is a style that I used to like and wear frequently, but it contributed to the “church vibe” (see this post for more on that topic) that I’ve been working to tone down in my outfits. Navy striped open cardigan: I bought this cardigan at the Nordstrom Anniversary Sale back in July and never wore it. I recently tried it on again and felt that it made me look larger than I am due to the wide stripes. Although the softness of this cardigan, this particular version wasn’t right for me. Perhaps I can find a solid version at some point that will work better in my wardrobe, but I returned this one to the store. Green striped knit blazer: I love the color of this jacket, but the style doesn’t do it for me anymore. I also only wore this jacket once last year, so it just wasn’t one that I reached for. It looked too “churchy” with skirts and I didn’t like it with jeans, so I decided to pass it on. Grey knit blazer: Another casualty of my broken love affair with knit blazers. Not only did this blazer contribute to the “church vibe,” the color also washed me out. I used to wear a lot of grey, but I’ve recently realized that it’s not the best color for me unless it’s a deep charcoal shade. Magenta tunic: This one hurt… I loved this tunic, but upon its second wearing, it had pilled and snagged horribly (and all I really did the two times I wore it was sit around). At the second wearing, I was at Nordstrom, where I had originally purchased the tunic. I mentioned the situation to the saleswoman and she suggested that I return it for a refund. Since I was buying a top and a cardigan (see below) that day, I did the return on the spot and wore my new pieces out of the store. I really wish this tunic would have been better made, as I felt it was very flattering on me. Teal crew-neck long-sleeved tee: Although I love the color of this tee, the neckline was too wide and the sleeves were too long. I recently put on the tee to wear at home and was annoyed by the fit after just a few minutes. I immediately took it off and added it to the donation/consignment area of my spare closet. Life is too short to wear clothes that are fussy and irritating! It’s getting easier for me to let things go these days, which is a very good thing. I added this coat, cardigan, and tee to my closet in December 2015. The above purse, wedge ankle boots, and necklaces were all Christmas presents. Black coat: In my outfit journal entries since the weather cooled off in November, I frequently wrote that I wished I had a basic black coat that is warm. I already had two black coats, but one is a lightweight knit and the other is a more formal velvet coat that is not really suited for everyday wear. I knew that if I had a basic black coat, I would wear it regularly, so I asked my husband to get me one for Christmas. It took ordering three coats online to find one that worked, but I love my new black coat. It’s a classic style that won’t go out of fashion for the foreseeable future, it fits me well, and it’s warm but not too warm (after all, I live in Southern California). Magenta cardigan: I love the color magenta and feel that it looks good with my skin tone and hair color. I have a teal cardigan in this same style, which is elliptical in nature (shorter in the front and longer in the back). The material is very soft, too. I bought this on the day when I returned my magenta tunic, so this was kind of a one to one exchange. I’m happy to have another magenta piece in my wardrobe, as it’s one of my favorite colors. White v-neck tee: I am not a huge fan of wearing white, but it does look nice with many of the colors in my palette. I used to have a white tee and have been missing such a piece in my closet since I had to purge that top last year. This tee is soft and comfortable and drapes well. I see myself mostly wearing it as a layering piece with my various cardigans. Black studded purse: I saw this purse while I was visiting my mom in Tahoe back in September. I loved its simple style with the added “edge” of the silver studs. I have a black purse that I carry often, but it’s starting to look kind of tired. This new purse is the perfect size for me and the wide strap doesn’t dig into my shoulder. I loved the purse and my mom offered to buy it for me for Christmas. I decided to take her up on that offer. Black wedge booties: My most worn shoes for 2015 (other than my walking shoes) were my black Clark’s ankle boots. I have owned them since 2010 and they have been worn over 100 times. Sadly, they are starting to show their age and be in need of replacement. So in addition to the black coat above, I asked my husband for some black booties for Christmas. I like the sleek style of these and the wedge heel makes them easier to walk in. Sun pendant with onyx beaded chain: I found this necklace in my favorite store in the town where my mom lives in Tahoe. I have long had a fondness for sun motifs and I love onyx as well. The necklace length is adjustable and the size of the pendant works well with my frame. My mom offered to buy me this for Christmas, too, and I was delighted. Silver double-rectangle pendant: My mom sent me this necklace as a surprise. I hadn’t seen it previously, but she picked well because I think I like it. The chain is also adjustable and the size of the pendant is similar to that of the sun above. I didn’t really need another necklace, but I like this one and believe I will wear it. I feel quite happy with my December acquisitions and feel they will serve me well overall. I am being a lot more deliberate with what I buy these days and am thinking more about my true wardrobe needs and what I will really wear rather than just what looks pretty on a hanger (or website). My budget for clothing and related purchases (shoes, accessories, alterations) for 2015 was $2500 (down from $3000 in 2014). I was originally going to have just an annual budget last year (I maintained monthly budgets during 2013 and 2014), but decided to switch to quarterly limits after spending too much money during February. My quarterly budget for 2015 was $625. However, since I exceeded my third quarter budget by $295.83, my fourth quarter budget was reduced to just $329.17. As of the end of November, I had exceeded my 2015 budget by $73.99, but I made a few more purchases and returns during December (all outlined above). At year-end, my total clothing, shoes, accessories, and alteration expenditures came to $2541.94, which was $41.94 over my budget. While I would have liked to have come in under budget, I’m still happy to have reduced my spending from my 2013 and 2014 levels. What’s more, I’m happier with what I bought and feel that I have more to show for it now than in previous years. I will be writing another post about that topic, but suffice it to say that I improved my shopping track record in 2015 and intend to continue that trend this year. These purchases from 2015 remain in my closet today. I will go into more detail about my 2015 wardrobe acquisitions in an upcoming post (similar to this one from 2013). But what I will say now is that I definitely feel I bought too many items in 2015. That said, I probably made fewer purchases last year than in 2014 (see that wrap-up here), as I only kept track of “out and about” clothes that year (I bought 54 of those) and didn’t count workout/lounge clothing, accessories, or gifts. This year, I tracked all of those categories but didn’t have a target or limit in mind. I haven’t decided what I’m going to do yet for 2016, but I’m thinking that I will only set limits on my “out and about” wear purchases, as I really don’t need that much more there. My focus this year will be more on my at-home wardrobe since that is where I spend the bulk of my time. These are the two purses and 13 pairs of shoes I purged from my closet last year. I let go of all of these jewelry pieces and scarves last year. I released all of these garments from my closet during 2015. I believe that my purge number will go way down this year, too, as I am getting happier with my wardrobe as a result of my “Love It, Wear It” Challenge (year-end recap coming soon…) and my outfit journal. I love and wear far more of my clothes now and feel that my wardrobe is in a much better place. I’m sure I will still let go of some pieces here and there, but I hope that it will be more as a result of things wearing out than because I made poor choices in the first place. I don’t think I will ever make no purchasing mistakes, but I do feel that the percentage will continue to decline due to all the hard work I’ve put into cultivating a workable wardrobe. So there you have it, full accountability on what came into and left my closet last year, how much I spent, how many items I bought, and how many I got rid of. All in all, I didn’t do too badly. Yes, I wish I would have bought less and wouldn’t have needed to let go of so many things, and yes I plan to do better this year on both fronts. But I learned a great deal about myself, my lifestyle, and my wardrobe during 2015 and growth isn’t always neat and tidy. It’s often messy and painful, but we usually come out as better people on the other side. I didn’t quite meet my decreased budget, I bought too many things, and made more poor choices than I’d hoped. I could beat myself up for those things and believe me, I have. But self-flagellation does not lead to lasting change. What does help us to make more permanent shifts is to forgive ourselves for our transgressions but learn from them. Some of you may not believe that I’ve learned all that much, but I guess the proof will be in how I do this year, and of course I intend to continue learning and growing in both my wardrobe and my life. Now it’s time for you to share your thoughts and report on your accountability for December and 2015 if you’d like to do so. What do you plan to do differently during 2016? Please let me and your fellow readers know how we can support you in honoring your goals and commitments. Feel free to share your wins, challenges, and questions in the comments section of this post. I also welcome any feedback you have on what I reported today. I wish you all the best in 2016 – with your wardrobe, your shopping, and all areas of life! I took your post as a challenge and added up my yearly expenditures. I didn’t want to because I knew I was over. I shop mostly thrift plus I’m a member of a years long swap circle – not done in person and each one has different characteristic ways with some passing along and taking, some only passing along, some only taking. I love this way of occasionally acquiring clothing because I try things I never would have considered trying on in a store as “not my style” and they often surprisingly become favorite GoTo items. I also keep a running monthly log detailing when and where I bought things and a general total for that day. I no longer bother noting how much each item was because I know the general thrift set prices and when I record an online or in store purchase then it is self-evident what I did. I had thought that I had an excessive number of ebay purchases – I keep failing at refusing to buy online because there is not enough crucial information about the item: exact color, feel, drape, comfort… but I noticed the other day that I had bought only 9 items that way all year. I noticed several years ago that my monthly shopping totals were dropping and halving and so I set myself a challenge of staying under fifty dollars a month. I was successful for a couple of years but this last year I was indeed over, even though I started the year off in March after a 13 week hiatus prompted by already having enough choices and not wanting to add the confusion of creating still more outfits to wear than there were times to wear them. I did not think of this as a ban because it was something I wanted to do and it was easy for me and didn’t chafe at all. In fact, I had in the year before, a similar one for warm weather clothing for the same reason and with the same ease. I had expected to naturally arrive at the same kind of hiatus this last year during cold weather but have not yet. I think the reason is that the weather has been unusually warm here in my mid-Atlantic state. It only now feels that winter has arrived. On Christmas, it was about 70 degrees. I had tried to put my warm weather clothing aside maybe four different times! So I’ve spent an average of $63 a month vs the desired under $50. I do all my own alterations and many things do need some as I am five feet tall. If I could not do them myself and had to pay for them, I think I would have very few clothes because I wouldn’t want to spend the money. I go further than simple shortening of hemlines and do a lot of refashioning to suit my ideas of what I want. My husband calls this “remanufacturing to my specifications.” He also refers to my clothes acquisition as my hobby. I don’t spend much on anything else. Some dollar store or drugstore brand lipsticks occasionally, replacement cosmetics occasionally. Once in a while some basic skincare that I see people with sensitive skin raving about. Usually these don’t work out for me and I pass them along to my husband and they work for him. I’ve stopped all my magazine subscriptions years ago but once in a while pick up a few at a thrift store or even a copy retail at the grocery. I don’t buy coffee out and don’t even like going out for a meal. The older I get, the plainer I like my food. All of my friends are foodies and they like going out and eating. I tried a few times and am just not interested in so much of what I think of as disguised food nor do I like sitting around. I sit around plenty reading articles on the computer and that’s more than enough for me and is free. I haven’t regularly bought books for over a decade. Before I buy one, I tend to read excerpts, reviews, other articles by the author. By that time, I usually have had enough and don’t go on to purchase the book. I don’t read fiction. I go to the movies about once a year with my husband. This year he and my son wanted to see the Star Trek movie so I opted out. We have netflix and he and my son are huge users of it, especially for watching tv series. We don’t have cable and otherwise nobody here is a big tv watcher. I listen to the radio. That’s a must have for me. I like the immediacy of talk radio. I listen to political radio for long spells and then when I have had enough of that, I listen exclusively to sports talk radio. I am not an actual sports fan but find it relaxing to hear intense conversations about things that don’t really matter. I did a kind of unofficial version last year of your Love It Wear It challenge. I wanted to see what I thought I would purchase based on needs/wants created out of those outfits – what were the missing pieces. I did learn some surprising things: most people have a surfeit of black shoes and footwear and I had no (slightly) dressy black shoes. In fact, I had no dressy shoes at all. I had a few pair that were tailored, classic (dressy in that sense) but nothing for fun social occasions. So recently I added several pair of dressy flats that had either metallic finish or some glitteriness or shine. And I even have some more feminine black shoes now. Before, all of my black footwear was chunky heel ankle boots or a pair of riding style boots. I did recently go shopping at the thrift with a list – not expecting to find anything – and unaccountably bought everything on my list. I gotta say it wasn’t any fun and more like going grocery shopping. I need as much fun in my life as possible and one thing I do like is the aesthetics of clothing – the tactility, the richness of the color, how it makes me feel radiant. My other occasional major personal expense is getting my hair colored and occasionally cut. I did realize a few years back that I was buying clothing when the real problem was dissatisfaction with my hair. It was graying and most people thought I had it colored to achieve a sort of melange of taupe, grey, blond. But I kept buying clothing to go with my formerly strawberry blonde hair and it wasn’t “right.” So I finally took the step of starting to go to a stylist and I would give up everything before that. I probably should go every month but I end up postponing it and then it’s hard to get an appointment most times so it ends up every two months. I probably “should” be bothered by roots coming in but I just think of it as punk and don’t honestly care. Aww, thanks, Claire. I try to keep a sense of humor (when all about are losing theirs 😀 ). I’ve often thought about a blog and I do see, by reading various folks’ summations of their blogging histories, that it helps many bloggers and their readers. For me, I think it would be like those drug awareness programs they have in the schools. What is the first unintended consequence? Why, creating an awareness of drugs! They sure must be somethin’ glamourous, desirable and overpowering. So I think that for me having a blog about my involvement with clothing would be just another symptom of overinvolvement with clothing. Cheaper in terms of actual dollars spent, just as expensive in terms of life force misspent. I agree with Claire, Vildy! I really enjoyed reading what you wrote and learning more about your shopping and life habits. If you did write a blog, I would be interested in reading it, but I understand your reasons for not blogging about clothes. A few commenters have mentioned that I spend an awful lot of time thinking and writing about my wardrobe, which is definitely true. But at this point, more of that is for the blog than because of a true obsession. In truth, I have become LESS preoccupied with clothing, but I like to write interesting blog posts. I still grow from what I post here and I’m always happy to be helping others, but I do plan to mix it up a little more and include more “full life” posts. You seem to have a lot of fun with shopping and your wardrobe. It seems like thrifting serves you well and how wonderful that you are so good with sewing that you “remanufacture” to your specifications. Now THAT could be a fun blog or even a guest post on THIS blog! I’m sure lots of people would love to see some before and after shots of your refashioning and read about what you did and why. If you ever want to do it, I would be totally game (or if you have other ideas for a guest post, I would entertain them, too). I think that $63 per month on clothing is still pretty darned good, especially for someone who loves fashion! I am terrible at keeping track of what comes in and goes out of my wardrobe. But suffice to say, I am now a lot happier and more content with what is in my wardrobe now, and I make a conscious effort to wear everything I have……or else out it goes! Not everyone needs to track, Fiona. The most important thing is to love and wear what we have, and it seems that you are doing that. Good for you! Forgot to add my number of items. Without going back and checking the exact number for each of my monthly logs, it seems that no matter how much or how little I spend my monthly item totals always land at about 40 – 60 items. This hasn’t varied since I’ve been keeping track for over a decade. Obviously, I end up purging a lot of stuff. Thanks for coming back to add your item number, Vildy. Did you mean to write 40-60 items per YEAR, though? If you are getting 40-60 items per MONTH, I would imagine you purge a lot! Even with that as a yearly total, lots of culling would need to be done if you don’t want a huge wardrobe. Obviously, I always cull a lot, too, with how much I buy, but I really want to cut back considerably on both wardrobe inflow and outflow. Nope, per month. I count everything but dire necessities like underwear replacement. And it is a whole lot. I don’t tend to purge my closet *in order* to excuse acquiring more but I do tend to be overly experimental with style and it’s common to acquire things in a new direction and then by comparison I purge those things I am leaving behind. I do see this cycle as a problem, though and the thread on the forum asking about which you value more, buying or wearing, has been giving me food for thought. I’m so far pondering whether they are two distinct pleasures for me. The buying is more about all that stuff most will recognize like “I’ll wear this all the time with everything” and the wearing is more grounded in the happiness of the feel of the garments on, how good the lining of the pockets feels, how the color lights up my complexion, how graceful I feel in it. Someone mentioned that buying the clothing is about the promise and in the wearing it isn’t always seen to keep that promise. 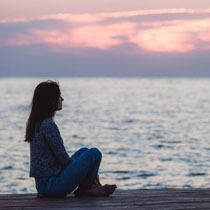 I need to keep exploring this topic but I’m currently wondering if sometimes the promise is reality-based and bears out in the wearing and sometimes it is my mind playing tricks on me, resulting in all the purging. I tend to shop mostly in small thrift and sometimes in another two. All are open limited days and limited hours and some of those close for, say, almost 3 months in summer. Add to that, I don’t actually like shopping and don’t spend much time in the store itself, though I always try on. The light, however is the poorest possible and distorting of color and the mirrors horrid. And there are no returns. I don’t mind because each of these is a church and I am happy to help support them, even though not a member. In terms of a ‘power pause”, I often spot things that could be appealing and even may try them on and may not buy them for weeks. I don’t find it makes a difference for me as to whether they work out or not. So like everybody else, I’m still trying to figure all this out. 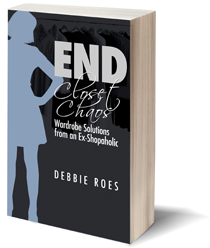 You do have a wonderful blog here and with the End Closet Chaos group this is the most useful and engaging information I have ever found on the subject. It’s really unparalleled. Thanks for coming back to clarify things, Vildy. I appreciate how open and honest you are. I haven’t read that whole thread yet on the buying vs. the wearing, but I definitely want to. It’s hard to keep up with all of the discussion in the group, but there are SO many valuable insights being shared there. I think that topic may deserve a future blog post dedicated to it, too, as I’m sure many people struggle with that dichotomy and it isn’t even and either/or for many of us. I love what you wrote about the purging being related to the “promise” of the clothes not bearing out in reality. That has definitely been true for me. It’s good that you don’t mind the closet churn too much since you are supporting the churches, but I hear you on wanting to decrease how much is coming into and leaving your wardrobe. Yes, we are all trying to figure this all out, but I’m glad we can help each other along the way. Thank you for your kind words about my blog and Facebook group. I’m so happy that you and others are finding the information and conversation helpful! I didn’t keep track of my clothing purchases as I went along in 2015, but I did add them all up from memory at the end of the year. Assuming my memory is reliable (!) I bought 38 items in 2015 and already donated 10 of them in the same year. So already I bought 10 more items than I needed to. I didn’t set any targets for 2015, but it’s a little disappointing how much I bought while *feeling* like I didn’t really shop that much and certainly less than in previous years. What I mainly feel right now is 100% burned out on shopping. I just don’t enjoy it any more. On the plus side, I like everything in my wardrobe and I’m sure I must have everything I need by now. Although it’s likely that feeling won’t last, hopefully it will deter me from shopping for a while! My goal for 2016 is to finish the year with the same number of clothing items as I started the year with, or (preferably) fewer. This means donating something for every new item I buy. Since I like all my clothing these days, my theory is that having to get rid of something old will deter me from buying something new, and will hopefully mean that I only buy new things to replace worn out clothing or items that no longer fit. I also want to spend far less time and energy on clothes shopping, which is almost more important to me than saving the money. I’ve wasted enough of my life in the shops – it’s time to do something else now! Thanks so much for sharing your accountability, Rachel. A few things that you wrote really stood out for me. One, you wrote that you bought 10 more items than you needed to buy. That is a good way of looking at it. I think that part of why I buy so much (other than being a shopaholic and not having enough discipline, which is certainly true) is that I buy the WRONG things too often. I’m getting better about that, but it’s still a problem. I also like that you wrote that what you spent equates to a month’s rent. We often don’t think in those sorts of terms, but it can be helpful to make these types of comparisons. I like your goal for 2016. Having a “one in, one out” policy can help to deter buying, especially if we like what we have. But there can be downfalls of such an approach, too, as I wrote about back in September (https://recoveringshopaholic.com/does-a-one-in-one-out-policy-work/). In your case, I think it could be very good for you, though. I hope you will write back later in the year to let us know how it’s going. I wish you the best of luck! I’ve wasted FAR too much of my life in the shops, too. Here’s to a fuller life beyond shopping! December was warmer than normal in my cold weather state, but I love the challenge of making my seasonal wardrobe work even when weather differs from the norm. I like to keep my three seasonal capsules (winter; transitional spring/fall; summer) distinct as I feel that keeps it fresh for me. I did well with making my cold weather clothing work in the more moderate temperatures and am happy with this approach. I bought two new purses on an online sale the last week of December, one for transitional spring/fall and one for summer. I also bought a replacement pair of jeans exactly like my favorite pair as they are starting to look a little worn after a full winter and some of this winter (63 wears). I replaced more of my wardrobe than anticipated in 2015, due largely to having zeroed in on my color palette and style. So I bought (and purged) a lot more in 2015 than I expected to heading into the year, and I went over my unrealistic budget rather significantly. I spent $2500 in 2015 on all categories and that is more than double what I’d intended to spend. I also purged (sold or donated) over 50% of the clothing I had coming into the year, and this was after a first major purge in the year prior. I am ok with the outcome. I have had separate clothing categories for work and casual in the past, mostly because I was a hands-on caregiver for husband these last three and half years leading up to his passing in October, while continuing to hold down my job. I imagine going forward I will have more overlap in work/casual and casual/leisure than I have in the past several years. I haven’t yet set a firm budget as I am playing with the numbers and seeing what is realistic. I find in my state of grieving I have almost zero interest in shopping or acquiring more clothing. I want to make sure the pendulum doesn’t swing wildly in the other direction as the year unfolds, and will stay attuned and aware on this front, and look for the happy medium. Good luck to all of us on meeting our 2016 goals and thanks again Debbie for your blog and sharing your journey. I really appreciate your answering my questions so thoroughly, Holly. I always enjoy reading about how others are doing with their shopping and wardrobes and I learn a lot from my readers. It’s interesting how it was warm in a lot of usually cold places in December and quite cold here in California. I like that you were able to make your cold weather wardrobe work for you even in the unseasonably warm temperature. It seems your jeans have served you very well! I would be thrilled to get 63 wears out of such an item within a year! I think that $2500 to replace half your wardrobe sounds very reasonable and I’m glad you are happy with that outcome. I can only imagine how difficult the past three and a half years have been for you and what you are going through now. It makes sense that you would lose your interest for shopping after losing your husband. I do think it’s good that you are aware of how things could shift, though, as we can sometimes be blindsided by things. A happy medium is what we all want and it can be so elusive. I wish you the best of luck with your 2016 goals, too, and I’m glad you like my blog. Sending you warm wishes for peace and healing in the coming year. I think you did extremely well last year! You went over budget by 1.7%! That’s incredible!! It’s basically one clothing item. I went $20 over my budget and considered it met. Great job and I’m glad you will continue analysis posts. These are very helpful. The observations,questions and considerations you write about have really helped me hone my closet last year. I guess we both did quite well with our budgets, Barb. Congrats to you for basically meeting your budget! I wish I would have bought SO many items, but I did tone it down in the later months of the year. I’m glad you like my analysis posts. I learn a lot from doing them myself. I like to read others’ analysis, too, and it helps me to gain awareness and make changes, too. First of all, congrats on not exceeding your budget by much! It must feel pretty good. I was tracking my purchase up until the end of July, but then I went to Finland for a month to live in an eco-village where I lived with 10 items for 32 days and when I came back to France, I just didn’t see the point of tracking my clothes because it made me feel more obsessed with it than I really was. I just love making lists and counting stuff, but it didn’t really help me in the end. Also uni classes started again and I was so busy with homework I didn’t have time to go shopping or write blog posts anyway. I kinda lost the desire for new clothes. When I was browsing online shops I was feeling “meh” 98% of the time. If you haven’t seen it, I strongly recommend you watch the documentary called “The True Cost” about the fashion industry, how big brands and retailers are exploiting people in Bangladesh and Cambodia and how the fashion industry is destroying our environment and the health of people working for it. It’s a true eye-opener and now thinking about buying a tshirt made in Bangladesh I bought 9€ in H&M or Zara or the French equivalent of Nordstrom makes me sick. It would probably help you being more deliberate in your shopping (I know it’s not your word anymore but I guess it’s still something important?). Anyway, I wish you a very deliberate and balanced year! Yes, it does feel good to have basically stuck to my budget for the past three years, Cedrique, although I really do need to buy fewer items. How interesting that you liked with 10 items of clothing for 32 days! It always amazes me how traveling can help us to see that we don’t need nearly as much as we think we do. I have yet to see “The True Cost,” but I have heard quite a bit about it. I did read the book “Overdressed” back in 2013 which discusses the same issues, but a refresher on the ethical and environmental impact of the fashion industry and my own shopping would be a good thing for me. I will plan to watch it soon and will likely blog about it. Yes, although deliberate is no longer my theme for the year, it is still very important to me. I plan to carry it forth to help me achieve more balance. I wish you all the best this year, too! I agree with Barb, you did really well! I spent more than I intended, and bought more items, but did better than the previous year. Over the last few years I’ve averaged about 35 items/year, buying 40 last year. I hope to improve on this next year (I discovered the 5-piece French wardrobe concept last year) and will aim for around 20-30 in 2016. I would be very interested to hear what your plans are in terms of budget and number limits for this year! Oh, and…’snap’, I also got a black coat that I really love! Compared to how much I bought, Alice, your 40 items isn’t bad. But I know it’s all relative (I used to buy 150-200 items per year, as scary as that seems – and that was just “out and about” clothing!). Your 2016 goal sounds reasonable and doable. I will definitely share my budget and other wardrobe shopping goals. I haven’t fully formulated them yet even though it’s halfway through January. I am still closing out 2015, which will help me make decisions on this front. Congrats on your new black coat and best wishes with your 2016 goal! I really look forward to reading about how the 5-piece French wardrobe goes for you. I think you did an excellent job!! Congratulations!! I added around 48 items this year, similar to 2014. I’m okay with that, and didn’t feel I went over budget. For 2016 I would like to thoughtfully curate my wardrobe, so I’m making lists of what needs to be replaced and will be focusing my buying on needs. I hope to make fewer impulsive buys, since those often don’t get worn. I also plan to keep track on a monthly basis of exactly what I purchase and what I toss/donate. I’m not a numbers/tracking person, but I believe that there are valuable insights to be had, so I’ll give it a try. Best wishes for a splendid 2016! Thanks for your kind word, Katt, and for sharing how much you bought and y0ur plans for this year. It’s good that you stayed consistent in terms of how much you bought the past two years. I think that using lists to guide your shopping will serve you well. It has definitely helped me a lot, although I need to be more disciplined in sticking to my lists. Even if you aren’t a numbers/tracking person, it can be good to do for a period of time for the awareness and lessons you’ll gain. I hope you will share how it goes for you. I wish you the best in 2016, too! Congratulations on staying so close to your budget this year, Debbie! I think you did a great job on meeting the budget, while reducing overall spending from the year before. Going over by $40 is barely a blip on the radar. You’ve made great strides this year in defining your style, reducing your wardrobe numbers and managing your money. Your detailed tracking of your wardrobe is impressive~ I wish I’d tracked my numbers in and out and my spending for this past year. I’m going to make an effort to do that for 2016. I know my overall closet numbers are down, but that’s about it. My other goal is to reduce the churn of things coming & going. I’m trying to settle myself and be more satisfied with what I have, and more deliberate about what comes in and what goes out. I look forward to hearing about your wardrobe goals for 2016. Thank you, Diane! I appreciate your kind words. Tracking has really served me well over the years and I’m glad I’ve done it. I didn’t realize I had been doing the extra detailed tracking for 5 years now, but I did it for two years before the blog, so that makes sense. Your goal of reducing “churn” is a really good one. I have that goal, too. I definitely bought more than I wanted to (about two or three times more) and got rid of a lot more than is ideal, too. I will share wardrobe goals soon after I have a chance to finalize them, but decreasing churn is at the top of the list. 2015 was a great year in my recovering shopaholic adventure. I did a huge KonMari purge and was too mortified at the 8 garbage bags full of clothes, shoes and accessories to count the individual items! I switched from constant shopping to a quarterly system. I kept a list of items needed and then purchased each season. I crammed a lot of shopping in the first 2-3 weeks of the quarter. The net effect was that I got sick of shopping really fast. But I came in under budget for the year! I really zeroed in on my style this year: sheath dresses, cardigans, slim ankle pants, button down shirts, turtlenecks, and lots of scarves. I am very happy with these silhouettes and feel more like myself in my clothes than I have in years. I started a new hobby – coloring. I have had fun acquiring lots of colored pencils and coloring books. It has really helped me understand color better and it is a lot of fun. I spend evenings coloring or looking for designs to color rather than shopping online. It has heightened my interest in art and fulfilled my need for artistic expression. I no longer feel the need to express myself artistically through just clothing. My plan for 2016 is to continue the quarterly shopping. I want to narrow and refine my color palette. I am seriously considering letting my hair go back to its natural color (30% gray). I know that I will probably need more cool colors and fewer warm colors. After 20 years of coloring my hair, I think I would like to just be the real me on the outside. Thank you for posting your year in review. It encouraged me to look back and see how far I have come. Words are not sufficient to express how much your honesty has helped me face my shopping problems and get a handle on them. I am forever indebted to you. I really appreciate your kind words, Anne. Your last paragraph literally brought tears to my eyes. I’m so happy my blog has made a difference for you. It seems like you are doing SO well now! Congrats on moving to quarterly shopping, honing your style, and taking on a new creative hobby. I moved to a quarterly budget but continued to shop at least some every month. I think your approach is a better way to go. Your 2016 plan sounds great. I love what you wrote about your hair. I would like to stop dyeing my hair, too, but it’s harder because I am probably 75% or more grey and don’t want the skunk stripe. I kind of wish I wouldn’t have started the dyeing in the first place! I wish you the very best with your goals for this year! I hope you will pop in from time to time and let me know how it’s going. I only bought functional clothing last year – sportswear and foul weather gear that I needed. The place where I fell down on my budget was in perfume/cosmetic things. I have written up what I think is a more realistic budget for 2016 that includes some $$ to buy perfume as that is one of the few categories I am still wanting to spend on. Not much interest in clothes shopping for the past year or two. I do plan to sell several purses that I am not using in order to purchase a special purse for my 50th birthday this year. It sounds like you did very well with your shopping overall, Tara. It’s good that you have come up with a realistic budget that includes perfume and cosmetics, as those things are important to you. I love the idea of a special 50th birthday purse! I may have to steal that idea, as my big birthday is not long after yours… Congrats on the big hair change! I look forward to seeing your new style. You may give me courage to change my hair, too. Best wishes to you with your 2016 goals! Wow, it’s amazing to see your rapid progress, Debbie. You didn’t purge all that many clothing items compared to the past. And you wore out your favorite boots! Also, I’m amazed that you really did stick to your budget, which was an aggressive target, but that’s what challenges are all about. Those blazers are so nice, I guess I feel it’s such a shame to get rid of them. But then again, you do have lots of other great options, so it’s not so sad I suppose. Have you tried turning up the cuffs of blazers a couple of times to give them a more beachy feel? I see that a lot in Orange County, with a white or black tank underneath, jeans, and some sandals, it’s a great, casual but polished look. Just throwing that out there, in case you have second thoughts about getting rid of those. This year for me was the Year of the Purge. I read your blog and also my other fave, Refashionista.net, and I purged all the stuff I never really wear (gave it all to my mom who traded the clothes for goodies from her friends) and was left with about 70 items of clothing. It’s a weird feeling having enough space for all my clothes. I feel great about what I wear to work every day. I just wear the same 5 trousers and the same 10 tops, but they all work. I feel like I have lots more options than I did when I had tons of clothes. I appreciate your kind words about my progress, Jane! Yes, it is a bummer about the blazers, but the length feels “off” with jeans and they make skirts and dresses look too “churchy.” They aren’t gone from my apartment yet, but they are out of my main closet. I usually keep things for a little while in case I change my mind, so I may play with them a bit more if I get the inclination to do so. Congrats on your “year of the purge.” How impressive that you downsized your wardrobe so much. The best part is that you are feeling so good about your wardrobe now. I think it is often the case that we feel better about your wardrobe and style when we have less. I definitely have felt that way, too, and am happier and happier as I continue to pare down. I agree that you’ve made great improvements! I’ll be interested to see how the things you acquired in Tahoe work out. I wonder whether a happy vacation with family colored what you acquired. You parted with a lot of nice shoes, somewhere some thrifter/consignment shopper will be happy about those. I had company for the holidays and shifted my focus to my home. I got rid of a lot of dishes that I’d had for years that weren’t my style. As I kept feeding my guests I noticed a few gaps in my tableware, and over the past week or so have purchased more dishes! I’m glad to say that none of them are replicates of what I got rid of, but I am on high alert as to whether I’m repeating past mistakes. Just because I’m not buying clothes doesn’t mean my fault shopping habits are gone. I hope my Tahoe items will work out. Vacation purchases (or in my case, gifts bought for me while I was on vacation) can be tricky sometimes and we may not make the best choices. yes, I did part with some nice shoes. Three of them were returned and three were passed on to my mom, but the others went to consignment and I hope others are happy with them. It’s good that you are on the lookout for potential overshopping in areas besides clothing. I think it’s common to shift what we shop for, but it seems you did well with your dish purchases thus far. 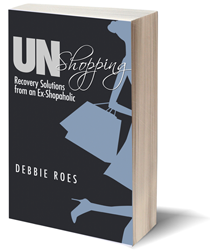 We do need to get at the underlying reasons for our compulsive shopping. I plan to work more on that this year so I don’t have to rely so much on pure willpower to get me through. I give you so much credit for your healthier approach to clothes shopping. I am impressed that you are so close to your budget and more importantly feeling good about your decisions. I ended the year $72.56 over my $2400 clothing budget. That sum is for the whole family but the majority was on me (cringe). I also purged several large garbage bags full of clothes from the whole family. I feel like I am in a good place heading into the new year. Thanks, Misty. You stayed close to your clothing budget, too, and I’m impressed that you purged so much, too. How great that you feel you are in a good place starting out this year. I wish you the best of luck with your goals as the year progresses! I think that we did opposite things this year Debbie! I did well on my budget. It was 2400.00. I spent 2206.83 so I was 193.17 under for the year. I also spent over $1000 less than last year. So I’m quite pleased about the money. WHAT I bought was not as good news. About 40% were things that I am not happy that I purchased. You look like you did much better picking out the right things that you will enjoy wearing. $40 is such a small amount to go over since you reduced the amount you spent last year by $500. I’m looking forward to seeing what you do this year. Every year since you’ve started the blog I see something good that has changed. Congrats on coming in under budget and spending SO much less than last year, Tonya. Good for you! I do think that I am happy with the majority of what I bought last year, but I still need to do the analysis (that will be an upcoming post). I know I still made some mistakes, but I believe they are becoming fewer. Thank you for saying that I have made good changes every year since starting the blog. I think so, too, but I definitely still have room for improvement. I feel, though, that I am finally getting to a much better place with my wardrobe. What I have better meets my needs and I am wearing my clothes more often. I believe that both you and I will continue to progress this year and I look forward to seeing your changes, too!